Users of ip-label’s Newtest solution are fully aware of how powerful the software is, especially its ability to monitor applications of all types, from a simple web service to intranet environments or even a thick-client type of environment. These users have made Newtest a part of their daily activities, with its management, administration and operation environment for exploiting results, including alerting capabilities, real-time supervision screens, precise analysis of situations, and other practical features. While it is essentially centered on technical and operational aspects, the Newtest solution also comprises a reporting module which includes some fifty templates for synthetic reports and performance tracking reports. These templates enable users to build the essential overviews of situations or produce findings for various types of technical or decision-aid services. It may happen that these templates, which are defined for standardized environments, do not meet certain needs for in-depth analysis or are not easily integrated into broader displays which encompass a combination of data from disparate or complementary tools. In these cases, analysts have to reconstitute reports – sometimes rather painstakingly – to fit their own template, an activity which requires precious time and energy. To remove these constraints and facilitate the tasks of analysis and custom report building, ip-label decided to integrate a ‘data visualization’ building block into the Newtest solution. Entirely independent of the modules of the Newtest solution, Dataviz connects to the data warehouse for quick easy access to the data collected by robots, without affecting the metrology environment in place. 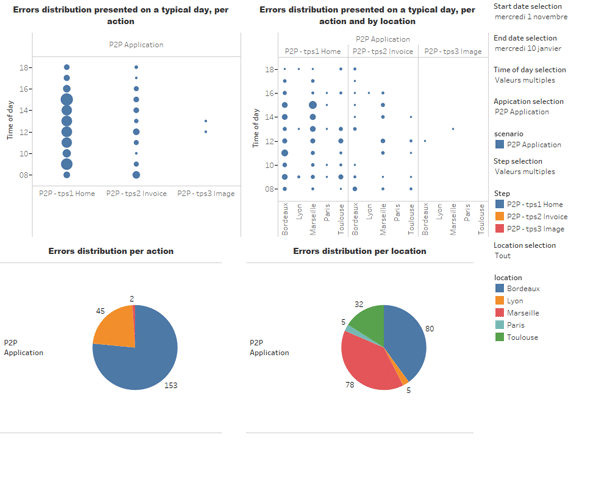 Around ten data display templates are included in the standard Dataviz offer, ranging from simple developments on the basis of existing reports to entirely new ways of displaying the data. Dataviz’s strength is that it enables you to build your own data displays that fully respond to your needs. The displays may be fixed or dynamic, with filter capabilities. You can format the views and adapt them to your organization’s visual identity, configure automated sending of reports, publish them on an integrated server to enable viewing on an internet browser, and more! Because it is annexed to the Newtest solution, Dataviz can also connect to external data sources to aggregate data from different tools into a single table or graphic. This makes it possible to fully exploit complementary insights. 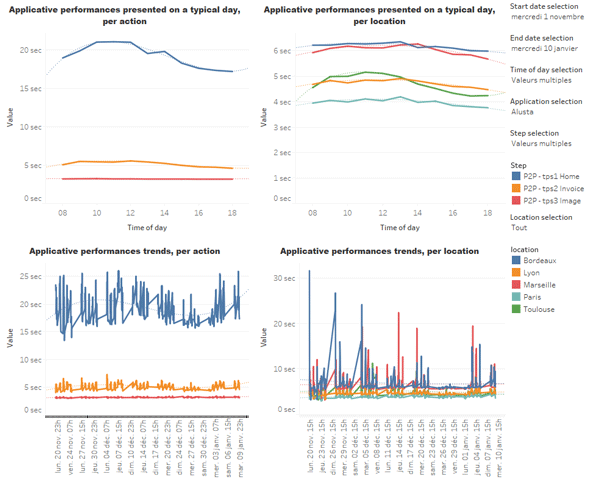 Easy and intuitive to handle, Dataviz was designed to fulfill all of your requirements. And if you don’t have the time to create new views yourself, you can always ask ip-label to design templates to match your specific needs. A specialized team is on hand to meet your expectations and help you to best exploit your data.